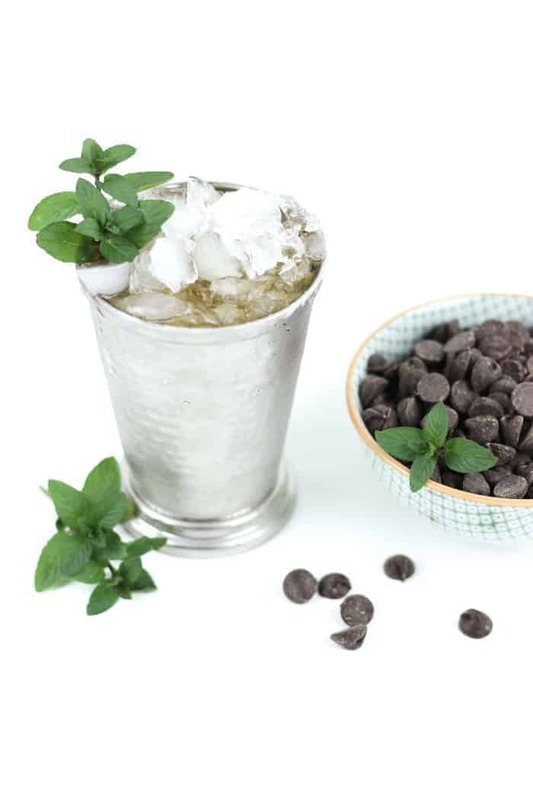 A twist on the classic Kentucky cocktail, the Chocolate Mint Julep is a sweet sipper for spring and summer. 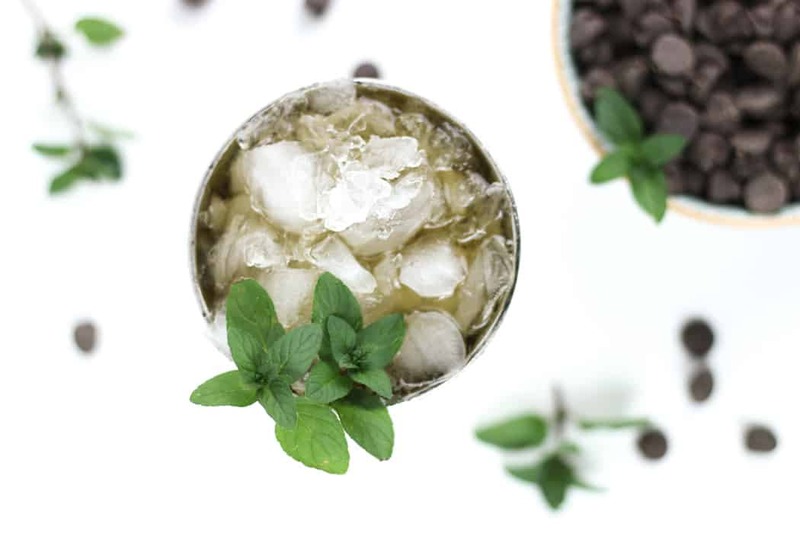 Made with a chocolate mint-infused syrup, oaky bourbon and a heap of crushed ice, this drink is perfect for horse-race-watching and summer cocktail parties. It’s because I come from a family of gardeners: my great-grandmother, both grandmothers, aunts, mom and dad all have amazing gardening skills. Also, my brother has a huge succulent collection that would make anyone I know on Instagram super jealous. Their yards are always abloom with something colorful, and they have happy indoor plants too. They know every flower name and how best to care for it. Me on the other hand? I have struggled to keep my plant babies alive for years. Last year I tried my hand at a vegetable garden. Tomatoes, peppers, melons. A few things grew, mostly everything was eaten by bugs? rabbits? deer, maybe? before it was even ripe. I’m slowly getting better, though. Right now I’m focusing on my herbs and outside my slow-growing, indoor succulent collection. I just ordered a trial subscription of Succulent Studio and my first two plants arrived — yay! And now I am running out of window space, alas. My herb garden on the other hand is doing pretty great. This is year four or five of attempting to keep an herb garden. Some things are the same: Basil and cilantro continue to allude me. So difficult! But mint? Mint and I are BFFs now. It is flourishing and I’m happy to have found the perfect spot for it. This year I bought a chocolate mint plant to experiment with, and I decided to throw it into a chocolate mint simple syrup for cocktail experimentation. 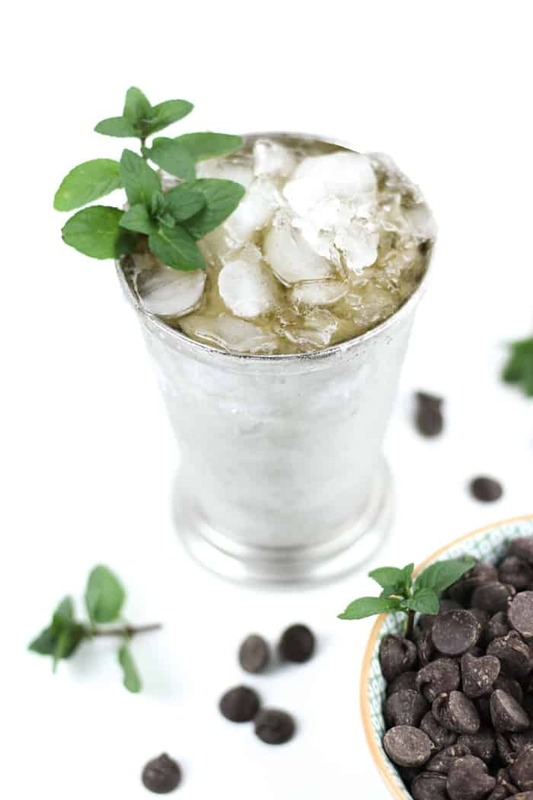 Chris and I loved using it in this Chocolate Mint Julep, so I just had to share it with you! 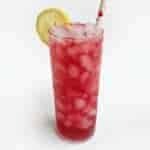 Simple syrups are such an easy way to tweak a cocktail recipe. I love infusing syrups with herbs, spices and fruits for a totally new flavor profile. Chocolate mint is a variation on the mint plant that actually smells and tastes a bit like chocolate! Just like a peppermint patty or an after-dinner mint. 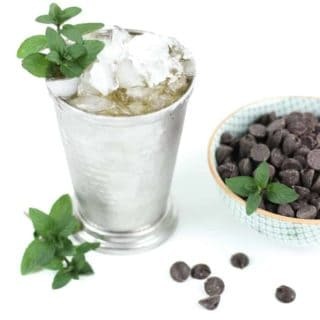 Using the chocolate mint syrup in a julep recipe makes for a sweet twist on the classic Kentucky recipe. So great for the derby or all summer long, really! 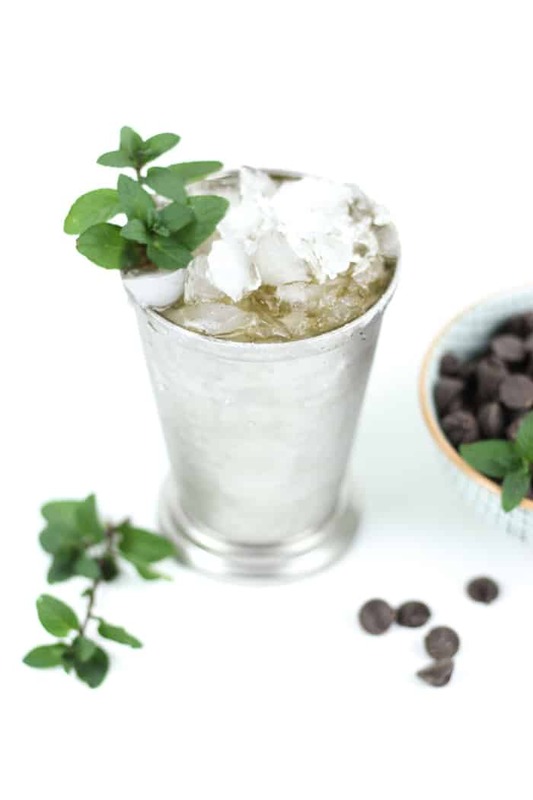 If you like chocolate and mint together, you’ll love this cocktail. Cheers, y’all! In a saucepan, stir together sugar and water and bring to a medium temperature. When sugar dissolves, add mint sprigs. Bring to a low boil and remove from heat. Let syrup cool completely. Store in an airtight container, up to two weeks. 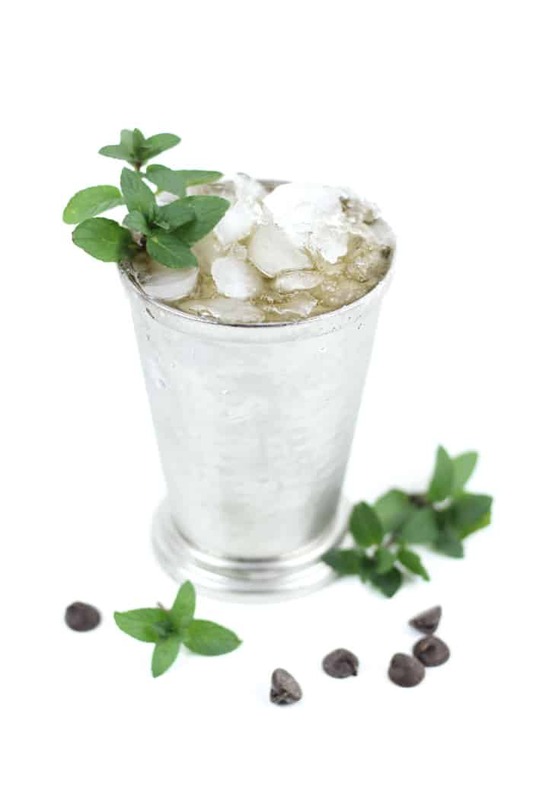 In a cocktail shaker, add whiskey and the chocolate mint simple syrup. Top with ice and replace the lid lid. Shake briefly. 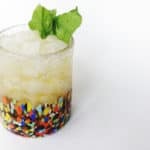 Pack two julep cups or rocks glasses with crushed ice. Top with chocolate mint julep mixture, then more crushed ice. 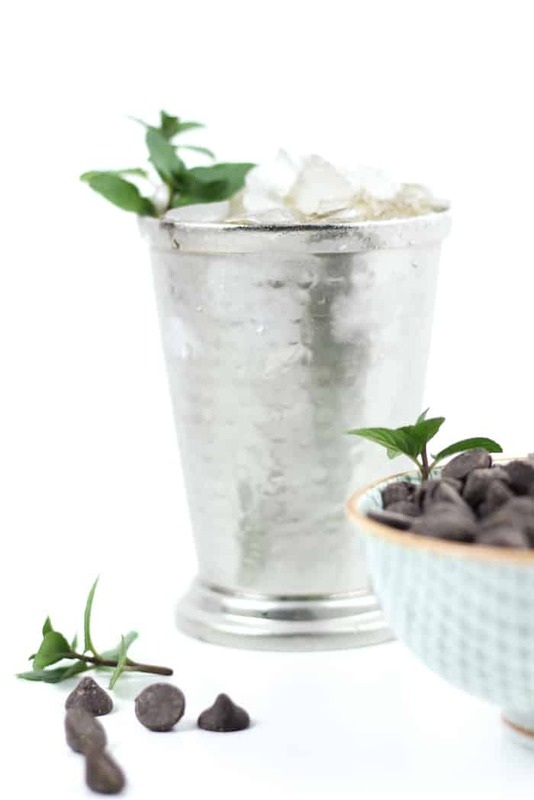 Garnish each glass with a mint sprig. I like this recipe. I have a huge mint bed. My wife loves Mojitos and I am a julip fan. I think next spring we will add some chocolate mint not to the garden mix! That sounds amazing, Donald! You should definitely incorporate Chocolate Mint into your garden — it’s so good! 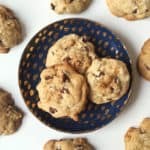 does chocolate get added in the recipe? Hey Desmond, this is a great question. 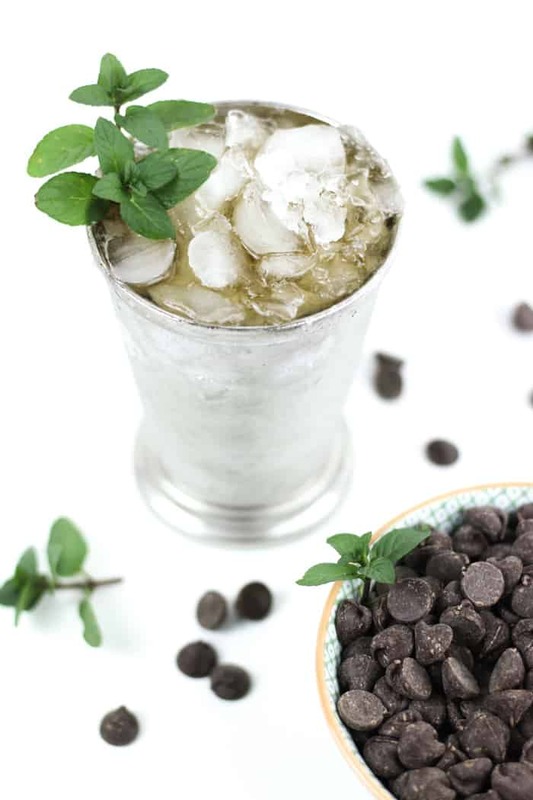 I used the chocolate mint plant to make the chocolate mint simple syrup — it grows with a chocolate flavor so I did not add additional cocoa or chocolate. However, you could make it with actual chocolate or cocoa instead if you prefer or if you cannot find the chocolate mint plant. 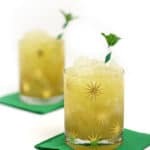 I have not tried that myself with this julep recipe, but if you do please let me know!